WE GOTTA MAKE IT WORK! Continuo a ter suores frios de cada vez que vejo essa mala e penso que não comprei uma pra mim. Apenas isso. I have this struggle as well. I even carry around my huge tripod as well sometimes and to strangers I must look like I am self obsessed lol. Awesome pics and beautiful look!! Ótima postagem, obrigado pela visita. The blazer and the bag such a brillant combo!! you look so trendy!! 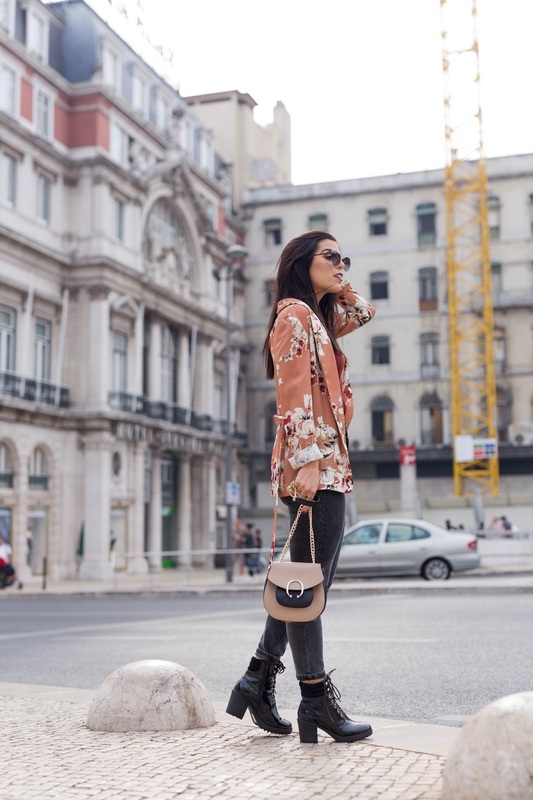 In love with your wonderful floral jacket and how you have styled it! Such a great printed blazer! This floral blazer is so amazing! You look gorgeous!